When the head coaching job at Newport Central Catholic opened Stephen Lickert wasted little time throwing his hat in the ring. NewCath liked Lickert enough to hire him. He is excited about the challenge to be at the helm of one of the best small school programs in Kentucky and being able fulfill one of his career goals, to become an assistant principal. This will be the third stop on Lickert’s coaching journey. He has compiled a 74-82 record in 14 years. He spent the last seven seasons at Campbell County but it just wasn’t feasible for him to run the team and become an assistant principal. 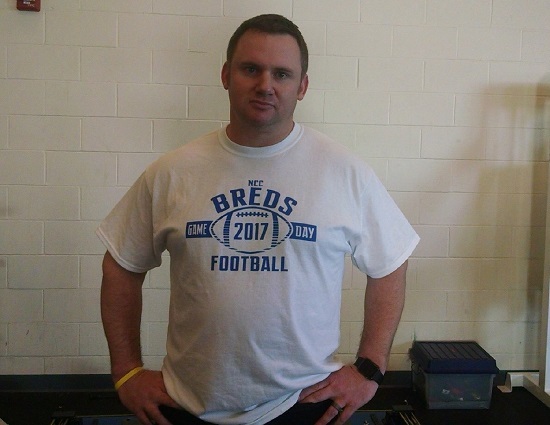 Shortly after the 2017 campaign ended Dan Wagner stepped down at NewCath after compiling a 40-29 record, including three state runner-up finishes in five years at NewCath. Now a new era begins for the Thoroughbreds and it appears they are poised to kick it into a higher gear under LIckert.